It's back! Columbia Sportswear is offering Up to 60% Off Select Styles with code COLAPR18 at checkout! 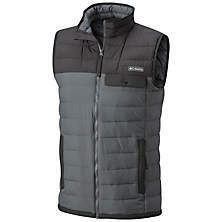 This Men's Mountainside Full Zip Vest is $39.98 (Retail $100). Free Shipping for Columbia Greater Rewards Members. Valid until 4/2 or while supplies last.